Today is my brother Wayne's birthday. 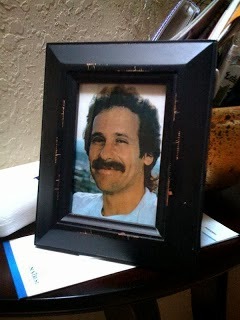 For those of you who have followed my blog, you know that Wayne passed away in 1995 from a malignant brain tumor. Over the last 18 years, Wayne has been in my thoughts just about every day. The last few months, I've spoken to him often for strength and for guidance. . I remember the way he lived his life. I remember how he continued on ... kept a positive attitude ... despite multiple surgeries, bone marrow transplantation and loss of bodily functions. He made a point of helping others in need of support during the years that he could.